The California High-Speed Rail Authority is responsible for planning, designing, building and operation of the first high-speed rail system in the nation, which will connect the mega-regions of the state. 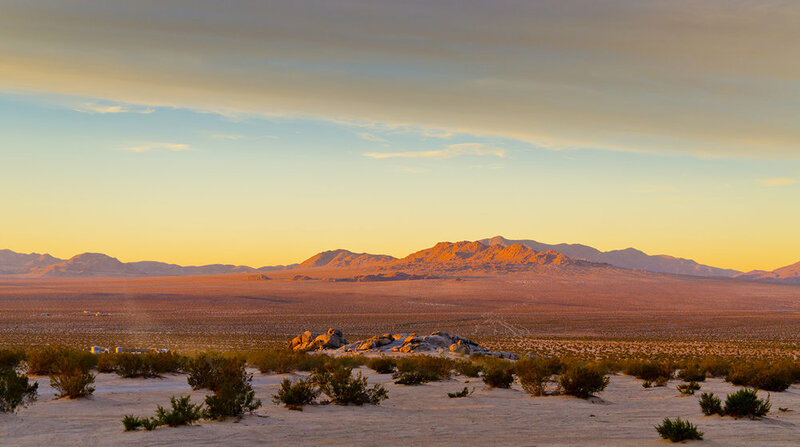 Here in Southern California, the Authority is working to environmentally clear the Bakersfield to Palmdale, Palmdale to Burbank, Burbank to Los Angeles and Los Angeles to Anaheim Project Sections by 2018. For the first time in 25 years, Metro is restructuring its entire bus system and designing a new bus network that is more relevant, reflective of and attractive to residents of Los Angeles County. The NextGen Bus Study is an 18-month, four-phase study focused on identifying a strategy to address the redesign of the countywide bus system. 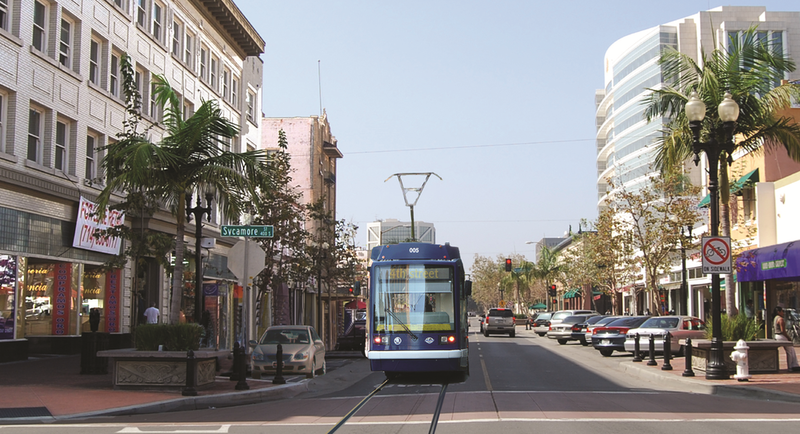 OC Streetcar is the first modern streetcar project to be built in Orange County and will serve Santa Ana’s historic and thriving downtown. 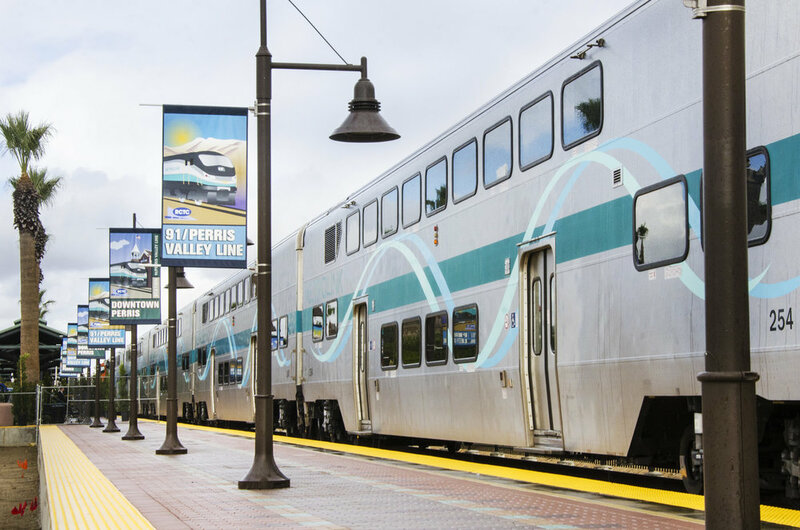 Expected to begin carrying passengers in late 2020, it will operate along a 4.15-mile route that connects the Santa Ana Regional Transportation Center and a new transit hub at Harbor Boulevard and Westminster Avenue in Garden Grove. Metro is evaluating a potential new light rail transit system connecting southeast Los Angeles County to downtown Los Angeles via the abandoned Pacific Electric Right-of-Way/West Santa Ana Branch Corridor and a combination of local streets and private and Metro-owned rail right of way. Metro, in cooperation with Caltrans, is developing the Project Approval and Environmental Document (PA/ED) for proposed improvements to I-605 from I-10 to I-105. The project also evaluates improvements to 5.5 miles of SR-60 near the interchange with I-605, and three miles of I-5 at I-605. 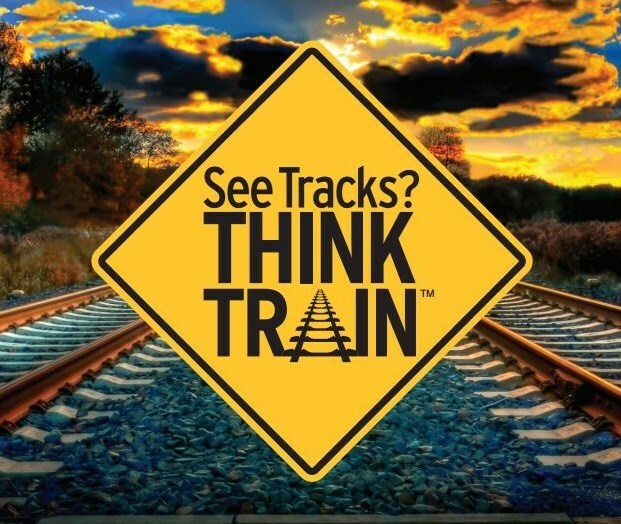 As part of a broad outreach effort, AA is working with the Riverside County Transportation Commission (RCTC) to target schools, neighborhoods and community organizations to educate them about the dangers of illegally crossing railroad tracks. The California High-Speed Rail Authority (Authority) is responsible for planning, designing, building and operation of the first high-speed rail system in the nation, which will connect the mega-regions of the state. Here in Southern California, the Authority is working to environmentally clear the Bakersfield to Palmdale, Palmdale to Burbank, Burbank to Los Angeles and Los Angeles to Anaheim Project Sections by the end of 2017. Caltrans is developing its 2018 Rail Plan, which will provide an exciting new framework for California’s rail network and set the stage for new and better rail and community connections in the State for the next 20 years and beyond. The Los Angeles County Metropolitan Transportation Authority (Metro) is preparing the Eastside Transit Corridor Phase 2 Project Draft Environmental Impact Study/Environmental Impact Report. The study evaluates two proposed build alternatives that would use the same light rail technology as the Metro Blue, Green, Expo and Gold Lines, allowing a seamless extension. The Foothill Gold Line from Azusa to Montclair is a 12.3 mile extension of the Metro Gold Line light rail system. The Azusa to Montclair extension includes six stations; one in each of the following cities: Glendora, San Dimas, La Verne, Pomona, Claremont and Montclair. 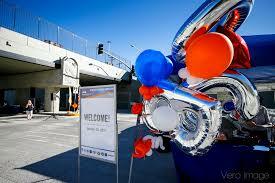 Construction of the 91/Perris Valley Line (PVL) began in October 2013. Led by the Riverside County Transportation Commission, the 91/PVL is the first extension of Metrolink service since the Antelope Valley Line was built in 1994. Service became operational in June 2016. The High Desert Corridor project is considering construction of a new multi-modal link between SR-14 in Los Angeles County and SR-18 in San Bernardino County to promote transportation mobility, enhance safety, and improve air quality in the region by connecting some of the fastest growing residential, commercial and industrial areas in Southern California, including the cities of Palmdale, Lancaster, Adelanto, Victorville and the Town of Apple Valley. The I-5 Freeway through the cities of Irvine and Tustin is essential to Orange County’s mobility, economy and quality of life. It is a major commuter and commercial corridor, and serves as a “bridge” that connects Orange County to Los Angeles County and San Diego County. Today, this segment of I-5 is one of the most highly traveled and congested freeway corridors in the nation. To address the current and future traffic demand, Orange County Transportation Authority (OCTA) and Caltrans are working on the Project Approval/Environmental Document phase for the I-5 Irvine Tustin Project. TCA, in coordination with Caltrans, the Orange County Transportation Authority (OCTA) and the Riverside County Transportation Commission (RCTC) is proposing to build a direct tolled connector from the 241 Toll Road to the tolled State Route 91 Express Lanes. The direct, median-to-median tolled connector, located in Anaheim California, will allow drivers to travel north-to-east and west-to-south directly between the 241 Toll Road and the 91 Express Lanes. The Gateway Cities Strategic Transportation Plan (STP) develops local resources and builds on previous transportation studies to create an integrated transportation system for the 27 cities in the Gateway Cities Subregion. The STP enables individual cities to understand how their transportation plans and decisions impact neighboring cities and vice versa — how individual cities fit within the larger region. The Vision 2040 Long Range Plan is focused on ensuring public transportation remains an essential part of the San Antonio, Texas region’s transportation solution as the community continues to grow and flourish. The Urban Greening Plan supports the creation of safe, healthy, and livable communities within the Los Angeles region through the enhancement of the public spaces. 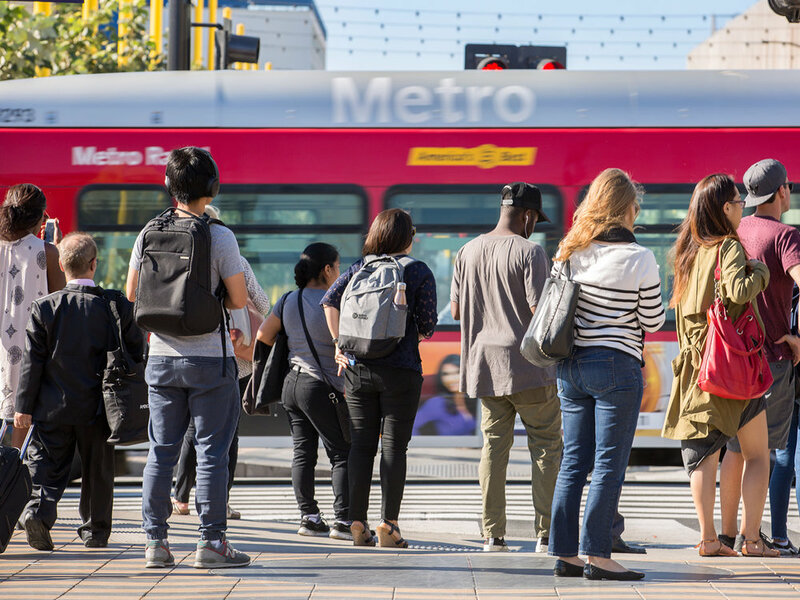 Metro is conducting a comprehensive study of its parking facilities at 48 transit stations across its LA County service area to develop a Supportive Transit Parking Program Master Plan. This plan will outline a vision for proactively managing Metro parking facilities. The Southern California Association of Governments (SCAG), working with San Bernardino Associated Governments and the Los Angeles County Metropolitan Transportation Authority, is conducting a transit and rail planning study for the corridor between the eastern San Gabriel Valley in Los Angeles County and the western San Bernardino Valley in San Bernardino County. Opened in 2014, the Anaheim Regional Transportation Intermodal Center, better known as ARTIC is an award winning state-of-the-art station bringing together transit, dining, retail and entertainment options in an iconic terminal building. State Route 91 in Riverside County ranks among the nation's worst commutes. The Riverside County Transportation Commission (RCTC) and project partners are currently making improvements to the 91 in Corona and Riverside to reduce delays, offer choice between regular lanes and tolled express lanes, allow faster emergency response, relieve local street congestion and offer better access to public transit and trails. SANBAG, working in partnership with Caltrans and the foothill cities, built the SR-210 Freeway, which serves as an east-west connection between San Bernardino and Los Angeles counties. The Riverside County Transportation Commission widened a 12.5-mile section of Interstate 215 in partnership with Caltrans and the cities of Menifee and Perris. OCTA built a series of seven bridges to separate vehicles from train along the BNSF Railway corridor in the cities of Anaheim, Fullerton and Placentia. Once completed, the bridges will move cars safely and smoothly under and over the railroad tracks, enhancing safety and boosting mobility.